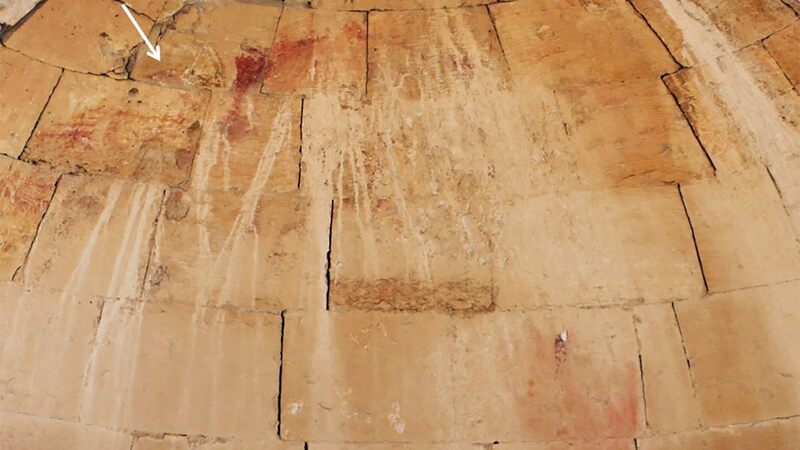 A previously unknown 1,500-year-old painting of Christ’s face has been uncovered at a Byzantine church in Israel’s Negev desert. 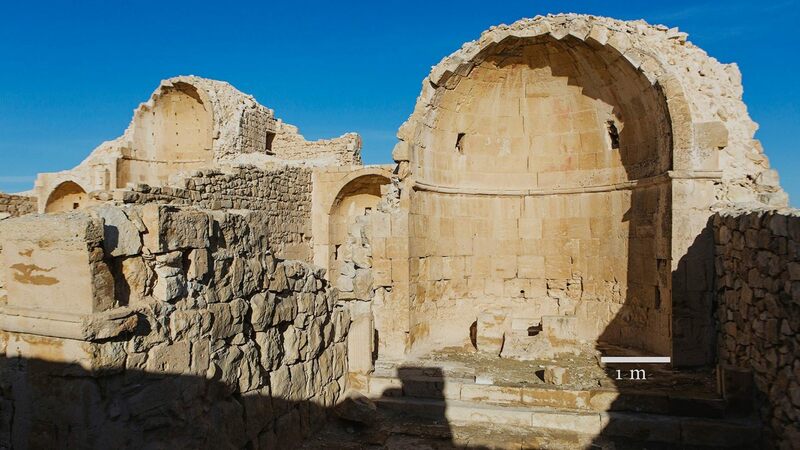 The discovery in the ancient Byzantine village of Shivta has thrilled archaeologists. Although the painting is fragmented, experts from Israel’s University of Haifa were able to make out the facial outline. Their research was published recently in the journal Antiquity. The painting, which is believed to date from the sixth century, depicts Jesus as a short-haired youth. The painting was briefly noted in the 1920s, but has now undergone more analysis. In their study, the University of Haifa archaeologists explain that Christ is depicted next to a much larger figure, which is probably John the Baptist. “The location of the scene – above the [church’s] crucifix-shaped Baptist font – suggests its identification as the baptism of Christ,” said the study’s authors. 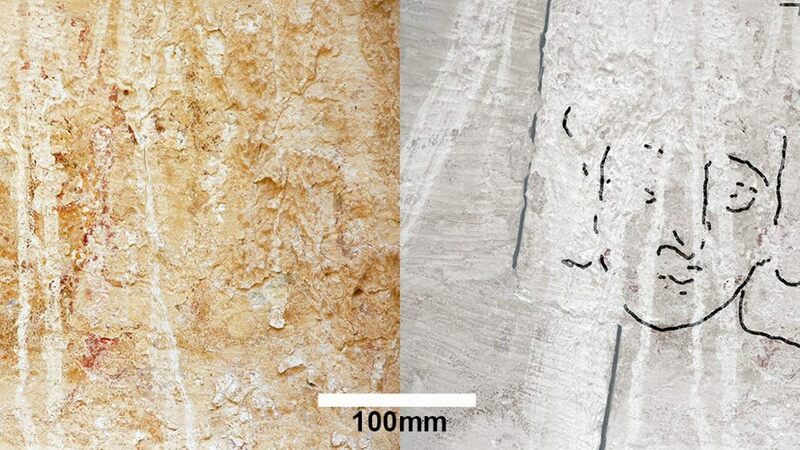 The painting is the latest fascinating archaeological discovery in Israel. Engravings of ships, for example, were recently found on an ancient water cistern discovered in a city in the Negev desert. In a separate project, archaeologists recently confirmed the first full spelling of “Jerusalem” on an ancient stone inscription excavated in the area of Jerusalem’s International Convention Center, known as Binyanei Ha’Uma. In another project, experts discovered a site that may offer fresh insight into the ancient biblical kingdom of David and Solomon. In a separate archaeological dig, a trove of bronze coins, the last remnants of an ancient Jewish revolt against the Roman Empire, were recently discovered near the Temple Mount in Jerusalem. In February, archaeologists announced the discovery of a clay seal mark that may bear the signature of the biblical Prophet Isaiah. Other recent finds include the skeleton of a pregnant woman, dating back 3,200 years, in Israel’s Timna Valley, at a place once called King Solomon’s Mines. Some experts also believe they have found the lost Roman city of Julias, formerly the village of Bethsaida, which was the home of Jesus’ apostles Peter, Andrew and Philip. Previous PostDOOT NOVEMBER 2018 – દૂત નવેમ્બર ૨૦૧૮Next PostMr. Emmanuel Gohil (brother of Rev. Shantilal Gohil & Pastor Simon Gohil) passed away on November 24, 2018.